Have you ever struggled with money? I was just looking at my journal, on October 7, 2000, to see I had written that I had a struggle with money…the lack thereof. While in the spirit of poverty or having a poverty mindset, I would go to a local store, spend $10 so I could get a free bus pass. After awhile, I thought it would be so much simpler to buy a monthly bus pass until my car came, the car I was praying for. I was constantly praying for a new-to-me car. I felt that I couldn’tt afford a monthly bus pass on my current manifested income…actual dollars in my checkbook. I know that the LORD has is all, owning all the silver and gold as it says in the bible at Haggai 2:8 and that he owns the cattle on a thousand hills, Psalms 50:10. I did not have the faith at that time to believe God would cover a monthly bus pass. So in dealing with my current income, I was trying to not be bitter over that fact that my former husband was not paying all the income he was court ordered to do. I was living on half of what was ordered. And I asked myself, What is wrong with wanting every cent due me? Was that vengeance, pride or greed? I kept thinking that things would not be so hard, financially, if I was getting all the money that I was suppose to get. I was even trying to use the bus transfer option which would normally allowed me to transfer to a completely different bus route. So I was using the bus transfer that would allow me to have an hour before returning on the same bus route. I tried to use my bus transfer instead of having to put in 65 cents to return home on the bus. Because I was not totally trying to abuse the system and I did not feel I had the 65 cents, I would just walk back home with my girls in tow. I hated begging people for a ride. It was not like I had a standing offer for rides all the time. I didn’t mind asking if the subject came up or if I knew a person was going to be out driving already. So I continued to pray for the right perspective on how to get around town. That evening, I was remembering the scripture that said to not be envious at the prosperity of the wicked. I was hearing from my relatives that my ex-husband had bought a house. At the time, I was still living in a little apartment. When I talked to my then 20 year old son, he told me how he had a lap top, a PC, a nice apartment with no debt. I was still dealing with the debt of the divorce. I had no car and I only had a word processor. My girls, then five and six years old, and I would walk to the library to use the 3 computers for each of us. So that scripture came back to me of not being envious of wicked men and their prosperity. Though it seemed like I was the only one not doing well…financially. At that time, I did have peace and safety from the LORD. I don’t know if my ex and son were living for the LORD in their apparent richness. I thought, No More! From this point on, I am going to spend the 65 cents to ride the bus when I need to, when it is raining, when I am too tired to walk, or whenever I feel the Holy Spirit leading me to do so. 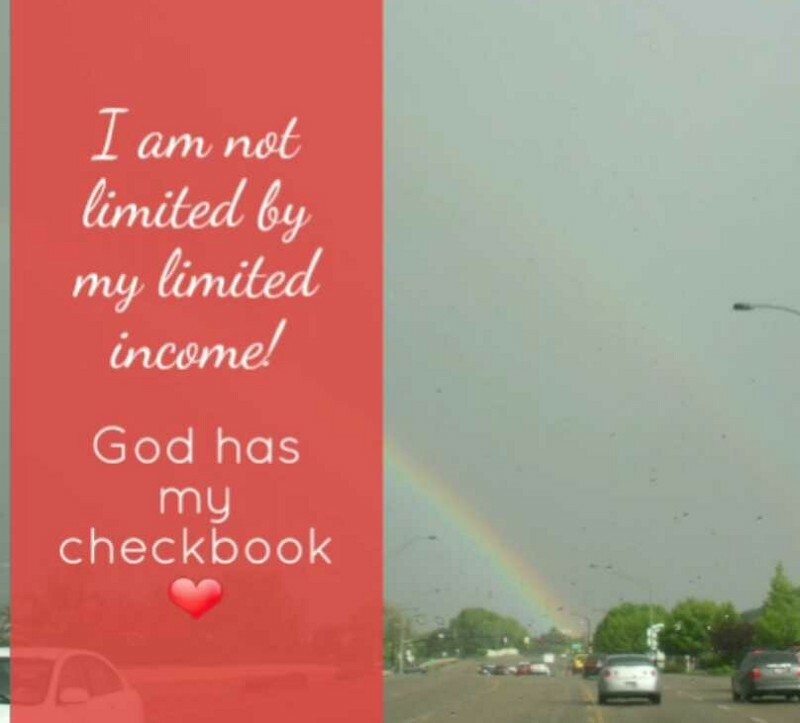 I am not limited by my limited income. I am not. So here is another concept that used to bug me. Whenever I wanted to do something nice for my girls like take them out for a Happy Meal, I would go through the drive thru and HOPED no one had seen me especially anyone who knew I was a “poor” single mom. I did not want to be judged as squandering my money. Yet, how would any one know how I scraped and saved to be able to treat my girls once a month? Who really knows if I was blessed with a gift and part of my giving back is giving to my girls? At a later time, I can tell you the story of how someone blessed me with $300 for Christmas and I sensed the HOLY Spirit was telling me to give my daughters a $100 each for Christmas. I thought, WHAT?!?!? It was one of those times when you think you could not possibly be hearing from God. So I’ll let you know the outcome of that in another story. Just know that God is good…All the time. In the natural, it looks like my income is limited. But God’s resources to me are not limited. He has caused men and women to give into my bosom, good measure, pressed down, shaken together and running over it states in Luke 6:38. God can move any number of people with any number of dollars until he releases me to make my own income. You have to understand that during this time, my calling was to be a stay-at-home mother of my two young daughters. God was not allowing me to go out and get a public job or pursue a business in home. I was homeschooling my two girls full time in Kindergarten and First Grades. I simply made due with what he provided, obeying God’s leading to stay at home. I’ll have to tell you a side note. When the Police Auxiliary called up every year asking for donations, I would kindly tell them that I was putting my extra dollars back into my daughters so that they wouldn’t be on the streets as teenager and in their twenties needing the police to help curtail their evil doings against society. I felt I was doing my part for the Police by training my girls up right so they would not be gang bangers. It was times like this that made me confident in God’s calling on my life to be a stay-at-home mother, limiting the evil that my girls were exposed to over the years. I did graduate them from 12th grade homeschool. So on with the story…. It did take great faith to remain a stay-at-home mom when my daughters wanted me to get a car so we were not walking so much. And when they wanted a computer, I reminded them that we would still have to share that ONE computer. Sometimes, we let our feelings shipwreck what God has spoken to our spirits. Sometimes, we let other people shipwreck God’s vision for our life by their words of limited understanding. If I had listened to people, I would not have been in California experiencing the beginnings of coming out of a poverty mindset. I could have been still (stuck) in North Carolina because people thought I was uprooting my girls. Also, my own feelings could have kept me in North Carolina when I didn’t have the money to move as I believed God was directing. Or I could have been stuck in Ohio, where my parents were begging me to not move to North Carolina. I told my mother, who is still alive as of this writing, that I could not even justify praying to God, if I got into future trouble in Ohio, after I felt God directing me to move to North Carolina. Obedience to God was very important to me! And still is to this day. Remember the scripture that says that God owns the cattle upon a thousand hills (Psalms 50:10) and how God owns all the silver and gold (Haggai 2:8)? He will and does place people strategically in our lives to get his purposes accomplished. So God did work out a miracle for me to move to California…more than one financial miracle…just in the nick of time. From feeling so poor, I decided that I was going to ride the bus when I needed to even by putting money in the coin box on the bus and not scheming with bus transfer, getting rides and constantly going to that one (expensive) grocery store to spend $10 just to get a free bus pass. It was like I was enabling my poverty mentality. My not spending 65 cents when I needed to was like complaining when I probably had 65 cents on me. It was like I was concerned for tomorrow. It was like, if today I ride the bus, what happens if I REALLY, REALLY NEED to ride the bus tomorrow? The bible tells us to not take thought for tomorrow for today has sufficient sorrows. Read it at Matthew 6:34. Also, my trying so hard to get a free bus pass was taking a gamble that they were still giving away free bus passes. Suppose I spent that money in that expensive grocery store and got to the cashier to find they had discontinued that program? Now what? 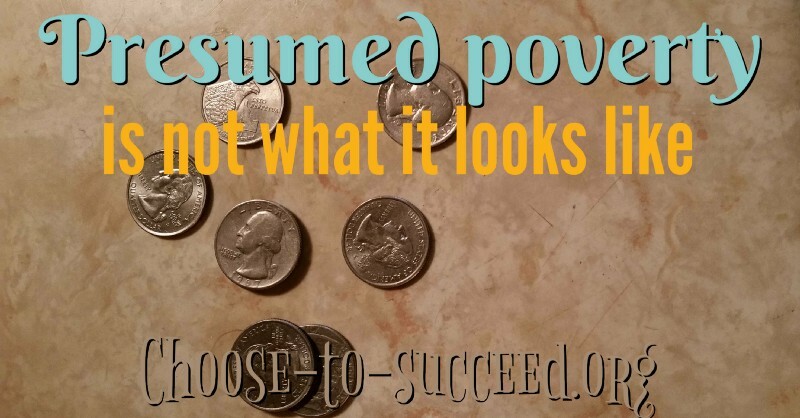 Presumed Poverty is not what it looks like. Mark 10:27b, with God all things are possible. The bible doesn’t add that only with certain circumstances, all things are possible with God. I claimed this scriptures for me and I accepted it on Oct. 9, 2000 at 9:12 pm. Yay! Out of the Poverty mindset! 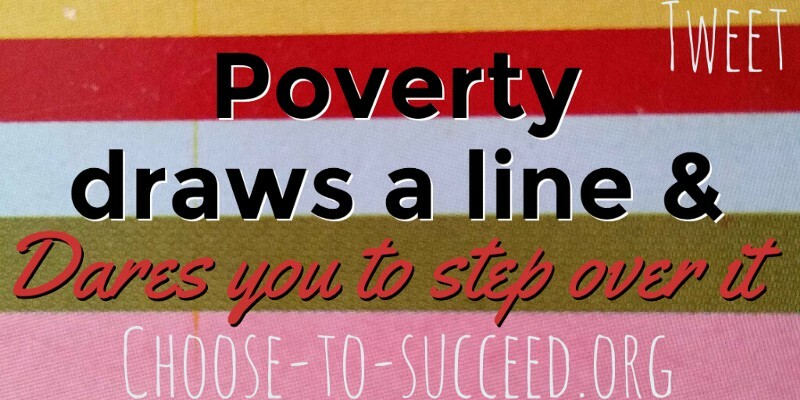 Poverty draws a line and dares you to step over it! 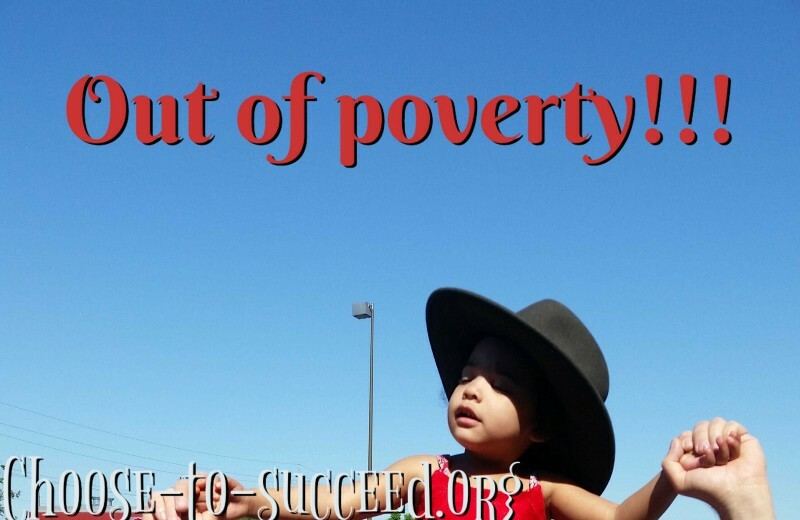 Will you let others step over the line Poverty? Will you step over it? And because of poverty, people also draw a line for you and dare you to step over it. What do you think the Welfare system does for people? It provides but it also limits. It’s like you can’t ever go out to eat, behind that line of poverty. Forget having a cell phone or a nice car. Appearances cause people to judge and try to force one behind the lines of Assumed and Presumed Poverty. I would like to think that another person would not want that to happen to them. But we sometimes do it to ourselves…like the unwritten code of poverty. I can remember sitting with some trustees of a church who were helping me with my budget. It was almost comical in that I had hardly any money and not enough to pay all of my bills. What would the meeting have done for my budget? If I have 500 dollars and my bills are 600, how do you budget that? Logic would reason that you can never go out to eat, have a cell phone or drive a car. But God…. But God in his infinite mercy and wisdom has it all under control if you let Him have It! You have to surrender the areas of your finances to God. So many Christian people think that they are surrendered to God yet they really don’t surrender all areas of their life to God. Now granted, sometimes it is not on purpose. Sometimes, you just don’t realize a certain area is not surrendered. So I am not hating on ignorance, the act of not knowing. You can’t do something about somethings you don’t know…until you find out. Once you know you have been holding back and not surrendering an area to the LORD, then you have a choice. Yes, God still gives us free will even in surrendering to Him. So once I stepped over the line of poverty and started to not have a poverty mindset, I started viewing money differently. I was much more free to obey God’s leading in my everyday life now that I surrendered my financial area of life to the LORD and not let my limited income dictate so much to me. And I stop letting people’s EXPECTATIONS of me in my financial situation dictate to me how I would be, where I would go, what I would do, how I dress, how I carry myself and so on. Can you still have fun and be in poverty? And do you know, when I started dating a couple of years later, the men I dated thought I was rich. Some of them were shocked that I lived in a little apartment. They were so called drawn to me because they thought I would help them out in their financial situations. Can you imagine that? I was still getting the same amount of money as when I was in the spirit of poverty except for a couple of cost of living increases which was not substantial by any means. But I suddenly looked different to men. My scent had changed…. (Jeremiah 48:11). I was no longer captive to the poverty mindset. So back to the church trustee meeting over my finances. They could only offer suggestions of things to cut out like cable TV or stamps to mail letters to my friends. Really, those were my only entertainment at that time. There was another time, a couple of years later, where my outgo extended past my income. But God…God made a way before the 15th of each month to have all of my bills paid and my needs met for me and my girls. Trust Him! It works. 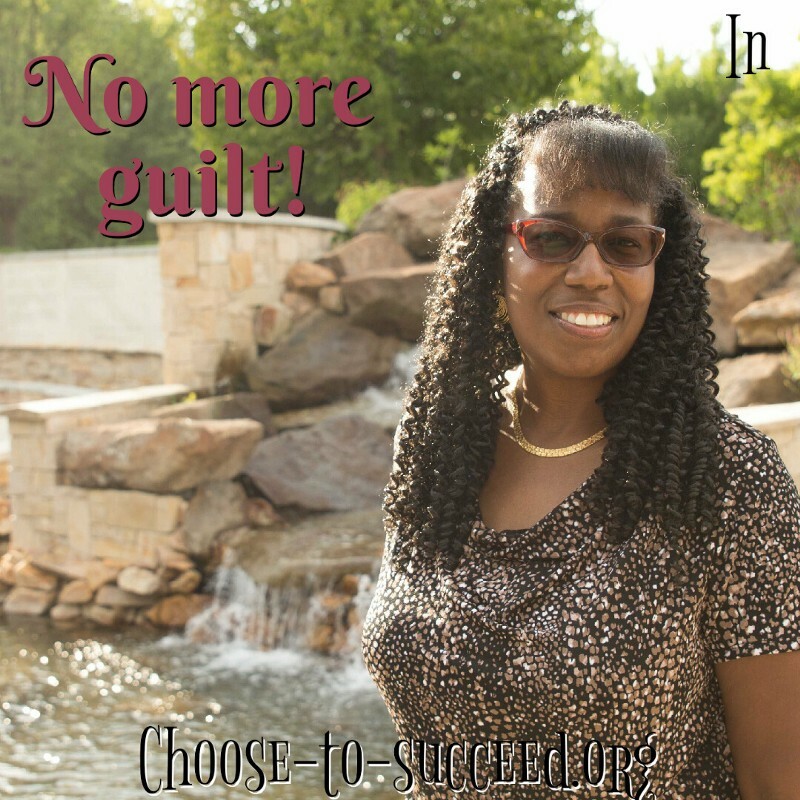 I no longer felt guilty when the LORD let me make extra purchases or led me to so something that cost more than I would have thought to pay. 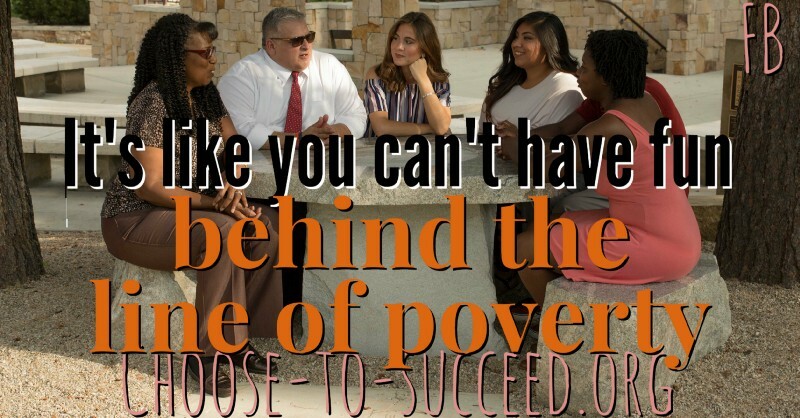 I dared to step over the line of poverty and not let my limited income in the earth realm limit the possibilities for how God would use me and what he could call me to do. Case in point, I learned to move to another home with much more ease. Even though I knew a move out of state was upcoming, the Lord would NEVER let me save up for it. God would always do a financial miracle for me to move. And it was not always someone writing a big check to cover all of my moving expenses. That only happened once in the 5 moves I made across the country. I learned to have more faith that could would provide where he was guiding me. As of this writing, at the end of 2017, I continue to trust the LORD for my finances. I continue to seek his will for my daily activities. Do you? 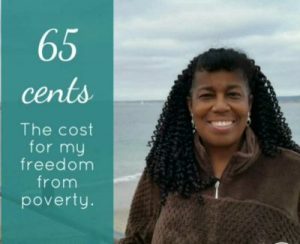 I hope you enjoyed this story of how 65 cents changed my life and began my process of coming out of the poverty mindset. My name is Nek’ka Migel. I am a grateful believer in Jesus Christ, my Lord and Savior. Thanks for reading and I do hope you will comment and share your story with others. Single Moms, Join the closed Facebook ladies group at Single Moms Unite!, LLC Group with the purple logo. Single dads, join the closed group at Consulting for Single Dads Group. Like and have your friends like the page, Consulting for Single Parents to get awareness. Donate to Single Moms Unite!, LLC that provides scholarships for Single Parents to benefit from Consulting for Single Parents as well as helping them to get their legal Wills done to state guardianship of their minor kids.